Ms. Placer is best known as the first woman news anchor in southwest Louisiana and first female television news director on the Gulf Coast. In Louisiana, Maria Placer is synonymous with child advocacy. In 1982, she launched "Wednesday's Child," a regularly-scheduled program aimed at finding homes for children released for adoption which continues its success to the present. She was a founder of the Acadiana Chapter of "Big Brothers-Big Sisters", and began a "Child Find" chapter in the Acadiana area. She was part of the formation of a "Teen Pregnancy Prevention Task Force" which has now gone statewide, and has personally produced and aired over 30 series regarding families in crisis and teen pregnancy,including “Concern”, which dealt with the special needs of children. Maria Placer is beloved in Acadiana’s Veteran community. She holds a special bond with Vietnam Veterans of America, Acadiana Chapter # 141. During the Vietnam War, she read the names of the Vietnam War casualties from Acadiana during the nightly KLFY-TV 10 telecast, and she continues to play an integral part of local Memorial Day and Veterans Day programs with VVA # 141. Each year to this date, Maria reads the names of Acadian’s fallen soldiers from Iraq/Afghanistan during the Memorial Day Tribute. 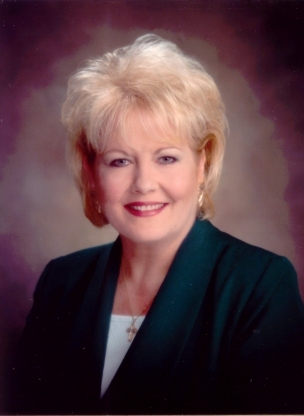 In July of 2008, Maria retired from KLFY-TV 10 after 42 years of service. She currently serves as Executive Director of 232-HELP.